Knowledge development about advanced freediving techniques and equipment. You’ll study independently using the PADI Freediver Touch (an interactive study tool that gives you the background information you need to freedive safely). Confined water session to learn stretching and relaxation techniques as well as refine static and dynamic apnea. Goal – static apnea of 2 minutes, 30 seconds and dynamic apnea of 50 meters/165 feet. Open water sessions to practice deeper free immersion and constant weight freedives, along with additional buddy procedures and rescue techniques. 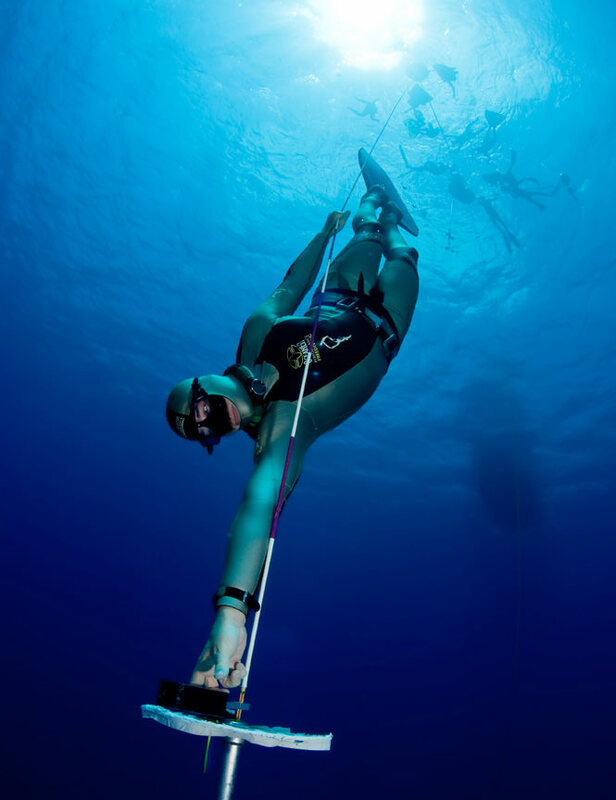 Goal – constant weight freedive of 20 meters/65 feet. You will use a mask, snorkel, fins, wetsuit and weight belt. All the equipment is supplied by the dive center.